Sassy Cheryl's Digi Stamps Challenge Blog: Challenge #152-Let's Get back to nature! It's been quite a week! I can't believe it's time for another Sassy Cheryl's challenge already. Time sure does fly when you're having fun, that's for sure. It's been rather chilly here in Virginia with low temps, rain and even a little snow. I certainly cannot wait for spring to arrive, or at least the prospect of warmer temperatures. How about you?!?!?! Are ya ready? Well, we hope that you are ready for the challenge at least. 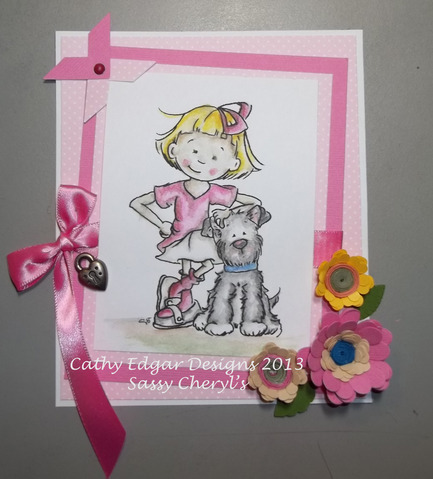 And thanks to everyone who played along last week in the PINK challenge. All of your cards were super-d-dooper gorgeous!!!!! with this amazingly stunning card! CONGRATULATIONS Jasmina!!!! Just drop an email to Sassy Cheryl and she'll get your TWO FREE images to you. This week the oh, so sassy Jeni is the hostess and she has chosen a wonderful an fun theme that I think all of you will love. . .
And just check out the fun and wonderful design team cards. Aren't they just GORGEOUS! WOW! So, grab your image and join in the fun! We can't wait to see what you'll be sharing with us. 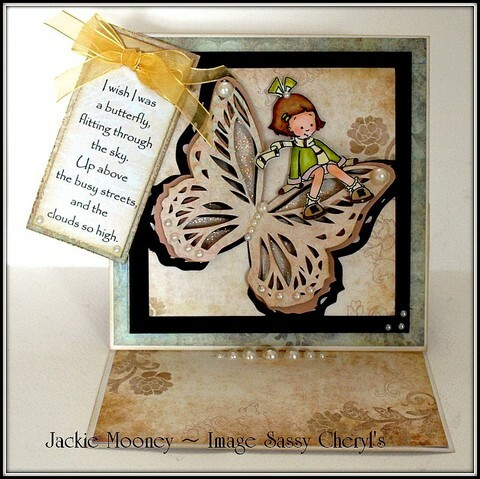 You'll have until 5 PM EST, Monday, February 11th to link up your card and images to be entered in the random drawing for the TWO FREE images! 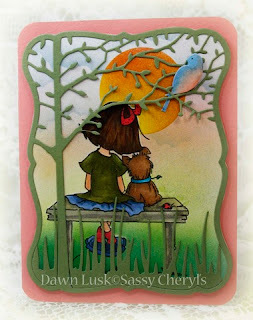 And if you haven't had a chance, you should check out Cheryl's new site, dedicated to the Miss Sassy Sally and her friends, just being Sally! Lots of fun images that you could use for this weeks challenge too! cards. Have a great week and stay warm! CONGRATULATIONS Jasmina! Just drop me an email and I'll get those two free images credited to your account. Ladies. . .you've outdone yourself again! Gorgeous! 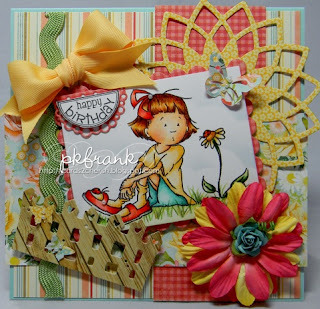 Loving this Back to Nature theme Jeni! Congratulations Jasmina. What a beautiful card. Ladies, your cards are all fantastic. Hopefully after spending a week in nature in CO, I'll have time to get a card made either Saturday or Sunday. Wohooo - I'm a PINK winner! I'm so happy!!! I like all adorable Sassy Cheryl's stamps. Thank you girls, great one and great DT work too.